We're calling this "Thoughts on..." because as I mentioned in my last post, authors aren't allowed to book reviews anymore. And hopefully Beth is #SmarterThanAnAlogorythm. "Miss Linnet Berry Thrynne is a Beauty . . . 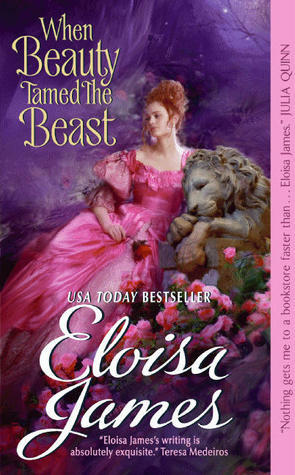 Naturally, she's betrothed to a Beast. If she decides to be very wicked indeed . . . what price will she pay for taming his wild heart?" This is my favorite Eloisa James book ever! This is not clean romance but it still had an incredibly sweet feel to it. I finished the book and wanted to read it again. My favorite line "I didn't fall in love for looks, unlike you."